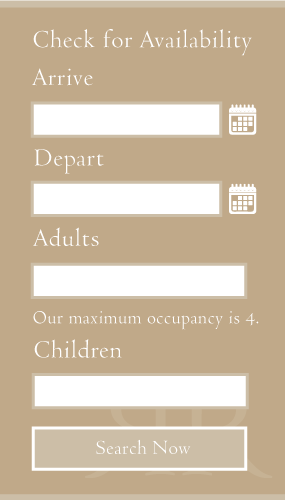 Please use our online booking form to check availability and price, telephone us on 07824697014 or send an email to telling us when you’d like to stay. We aim to respond to all emails within 24 hours. It is sometimes possible for us to arrange free secure parking on-site. On other occasions car parking is available within a mere 2 minute walk from the front door of the apartment. Please ask when booking. What’s the arrangement of the beds? There are two bedrooms. The master bedroom has a King-size bed. The second bedroom has two single beds, which are ordinarily pushed together to make a King-size bed or if you prefer they can be left as singles – you decide? Although it’s in a City Centre the apartment is private and quiet. The apartment is on the riverside so you will hear the soothing sound of the river going over the weirs when you have the doors and windows open. There is only minimal noise, if any, in the apartment when the windows and doors are closed..
It’s 240 V ac, 50 Hz. All sockets have 3 rectangular pins arranged in a triangle. We do supply a couple of adaptors for standard EU and US plugs. Is the apartment near the University? The apartment is within easy walking distance of many Colleges in Durham University as well as the Student Union Building (Dunelm House). The more outlying Colleges are easily accessible by car and are only a few minutes drive away. Is the apartment near the railway station? The apartment is only a few minutes walk from Durham’s mainline station or two minutes by taxi. Click the directions header tab for more detail. Who do I contact if I have a problem with the apartment? We aim to provide you with a truly memorable stay and with that in mind the Owner is available to provide help and support until 10:30 each day, and emergency support during the night. Are there 2 sets of keys? The apartment has complimentary broadband Wi-FI and Netflix. Is the apartment close to local amenities? The apartment is within walking distance of all of the City Centre amenities, including the Castle and Cathedral, it’s Gallery’s, Theatre, Bars, Restaurants, Café’s, Shops and Parks. The award winning Beamish Museum is no more than a 10 minute drive away and Alnwick Castle which has been used as the set for many feature films and drama’s is about 25 minutes away by car… but don’t forget that Durham Cathedral too has been used as the set of Harry Potter and other films. Prefer a bigger range of shops? Newcastle is only 12 minutes by train (20 minutes by car) and the Metro Centre is 15-20 minutes away by car. 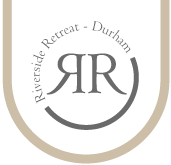 Riverside Retreat Luxury Durham letting is an excellent base to explore the explore the wonders, Castles and coastline in Northumberland, which are easily accessible within an hour or so’s drive away. Similarly Weardale with its quaint traditional villages and numerous country walks is about 30 minutes drive by car.